Chomolhari Trek also known as Jumolhari Trek, this intimate wilderness trek offers a great variety of trekking conditions, from remote farmland and blue pine forests, to alpine pastureland and breathtaking mountain views. 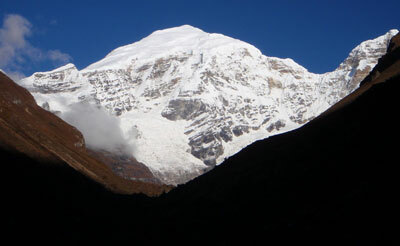 It is an ideal adventure for nature lovers who are seeking a Himalayan wilderness immersion. It's comfortable, low-impact, and absolutely unforgettable! From the ruins of Drukgyal Dzong (fortress of the Victorous Drukpas), below such beautiful peaks, you will hike through the heart of wildlife-rich. The sky-piercing peaks, thunderous waterfalls, turquoise lakes and streams, rolling meadows filled with wildflowers, remote yak herders villages, and forests of rodhodendron, pine, juniper and fir provide the perfect backdrop for this inspiring and challenging adventure. You will be rewarded with up-close views of Bhutan’s most beautiful peaks. Day 01 - Arrival in Paro airport (2280meters). Overnight at hotel. Day 02 - Paro Sightseeing Tour. Overnight at hotel. Day 05 - Trek to Jangothang/Chomolhari base camp(4044 Meters) Overnight at tented camp. Day 08 - Trek to Shodu Overnight at tented camp. Day 09 - Trek to Barshong (3720 Meters) Overnight at tented camp. Day 10 - Trek to Dodina then transport to Thimphu Overnight at hotel. Day 11 - Drive from Thimphu to Paro Overnight at hotel. Day 12 - Transfer to international airport for final departure.